Kyle Gingrich, Apache vice president of operations, has been elected by the Association for Hose Accessories Distribution (NAHAD) to serve a three-year term on the organization’s board of directors. During this time, Kyle will be involved with NAHAD’s social cause committee, supporting efforts to ensure clean drinking water throughout the world. For this cause, the committee is working with Charity Water on its global initiatives. Prior to assuming his new position, Kyle participated in board training and attended the NAHAD Convention in Colorado Springs this past spring. 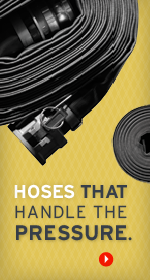 NAHAD promotes professionalism and integrity within the hose and accessories industry. The group’s members include companies from around the world that are engaged in the distribution and manufacture of hose, tubing, couplings, fittings, clamps, and related accessories serving the industrial marketplace.